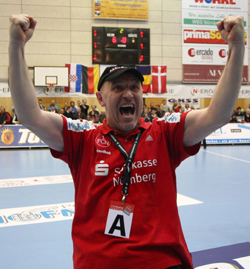 29.02.2008 - The successful Nürnberg coach, Herbert Müller, tells Eurohandball.com about the chances against Győr on Saturday. 25.02.2008 - The first home defeat for Nürnberg in the CL means nearly the end of all dreams. 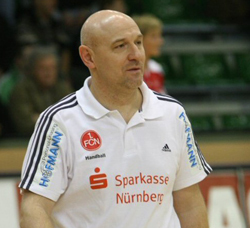 19.02.2008 - The performance of Nürnberg in Győr will mean a lot of extra motivation before the upcoming home matches. Herbert Müller talks about it. 11.02.2008 - Nürnberg takes a point against the favourites from Romania with a last second equaliser.